Kamakura Kakigori is a newly opened Japanese shaved ice shop in the Dakao Ward of District 1, just down the street from Decibel Lounge. During its construction the faceted facade invited curiosity… what are they building here? Once they opened I had to pay a visit. 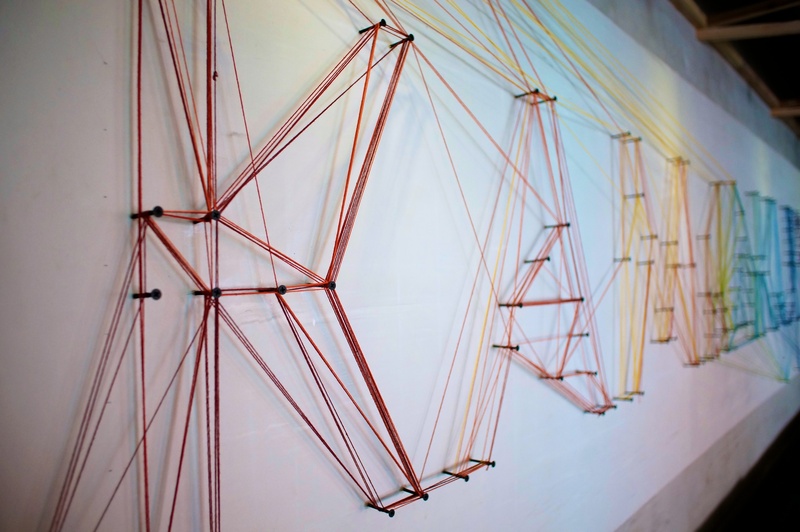 Colored thread is wraped around wood screws to create a semblance of their logo. 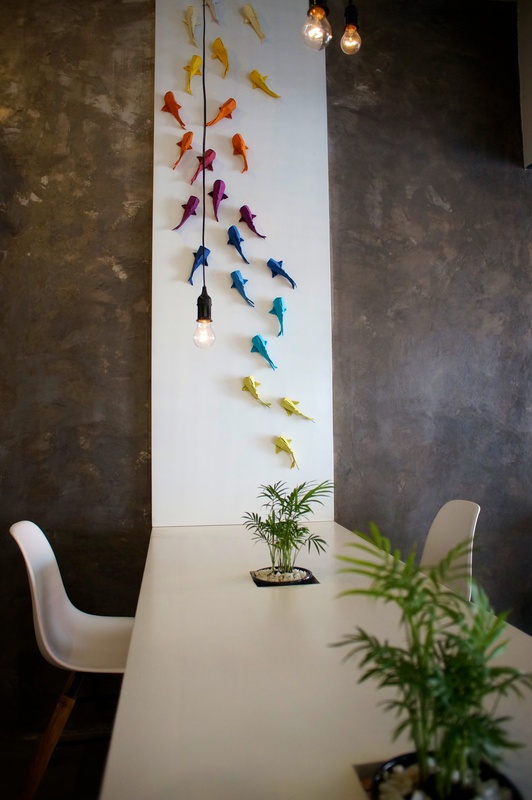 Origami fish in a rainbow gradient accent the wall. 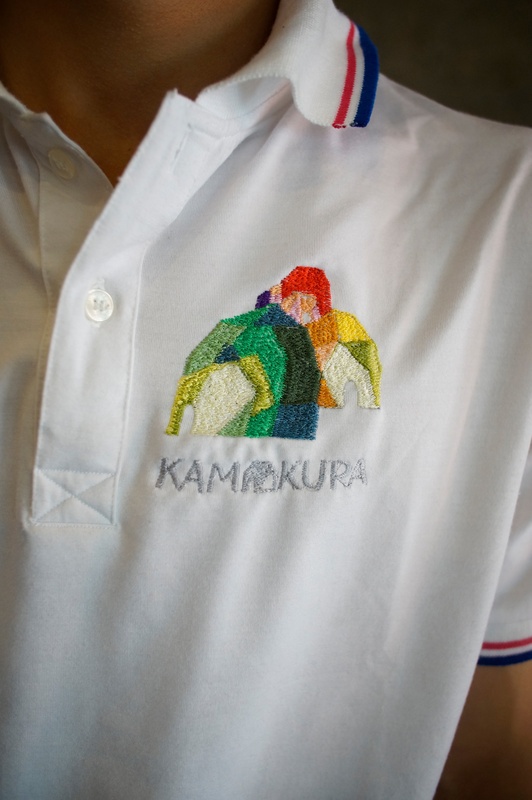 A detailed shot of the wood screw and colored thread logo. 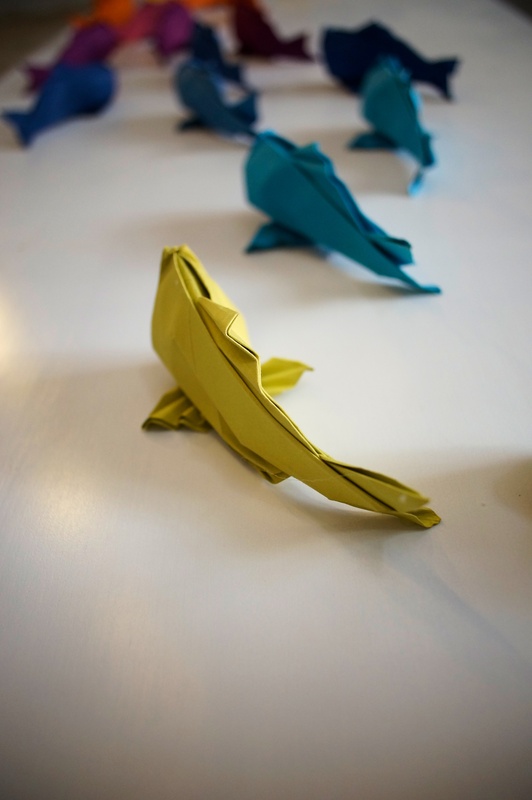 A close up of the origami fish decoration. A quiet corner for working. 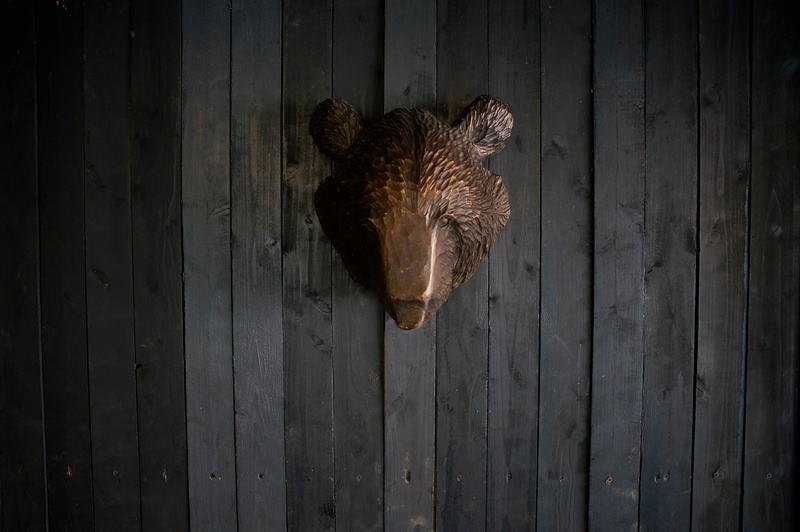 This metal bear’s head doesn’t follow the overall design but is still quite attractive. The angles of the wood frame and colors of the paintings echo the overall aesthetic. The logo at the front desk is chrome on concrete. 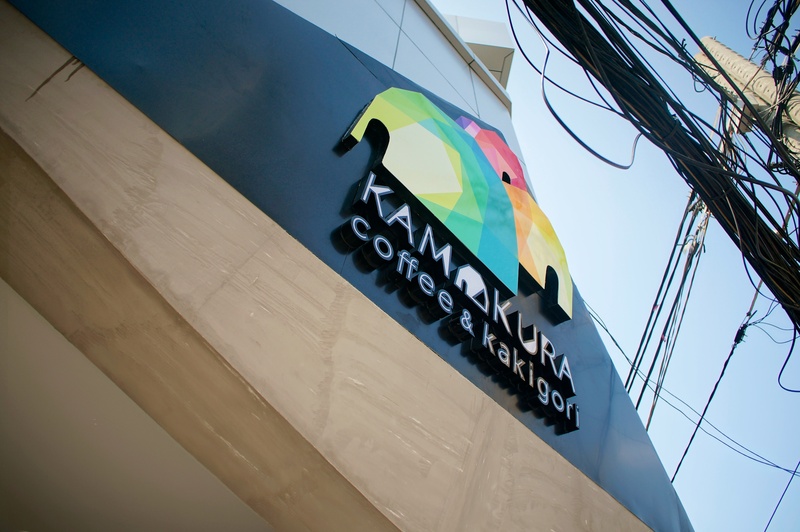 What I love about Kamakura Kakigori is how the line between their architecture and their branding is so blured. 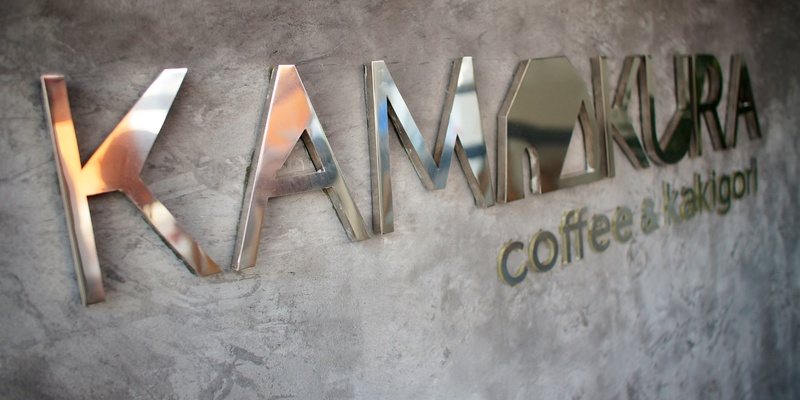 Their igloo-like logo is echoed in the shop’s faceted facade, in the rainbow colors and triangular shapes used as accents through out the interior design, and again in their menu and the map on the back of their business card. The angles bring to mind the shape of ice and the colors the various flavors to be poured on top. Using so many colors is risky but they pull it off. 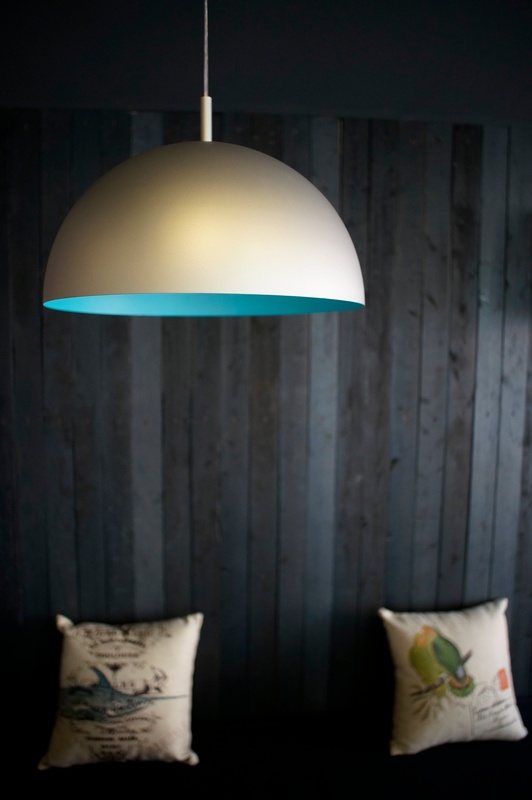 Natural colors, plants, and curved surfaces play in harmony with the more industrial and brightly colored elements. 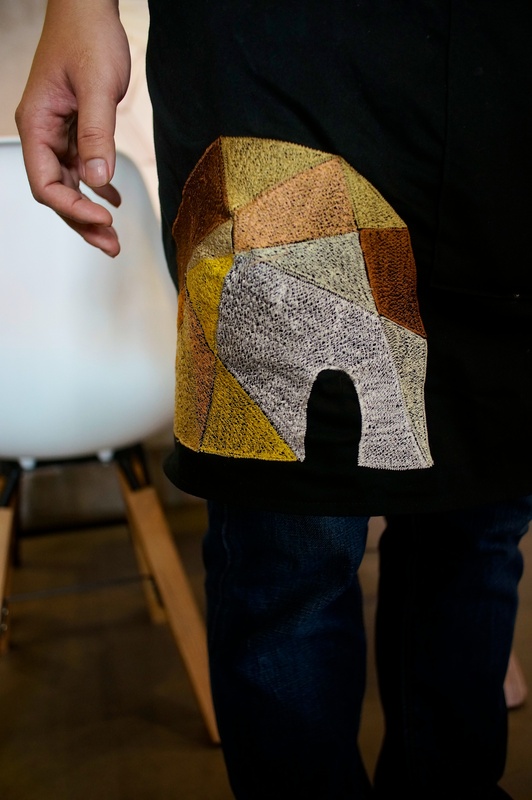 The wait staffs’ aprons and shirts are embroidered with the igloo motif. I’m not sure why the black apron has an earth-tone igloo; this is the only place where it appears like this, but I must admit that it is attractive. Perhaps it was intended to draw less attention. I wish the white shirts did not include red and blue stripes around the sleeves and collar as it detracts from the otherwise very purposeful design seen elsewhere. The black shirts worn by some staff are handsome and lack these extra stripes. 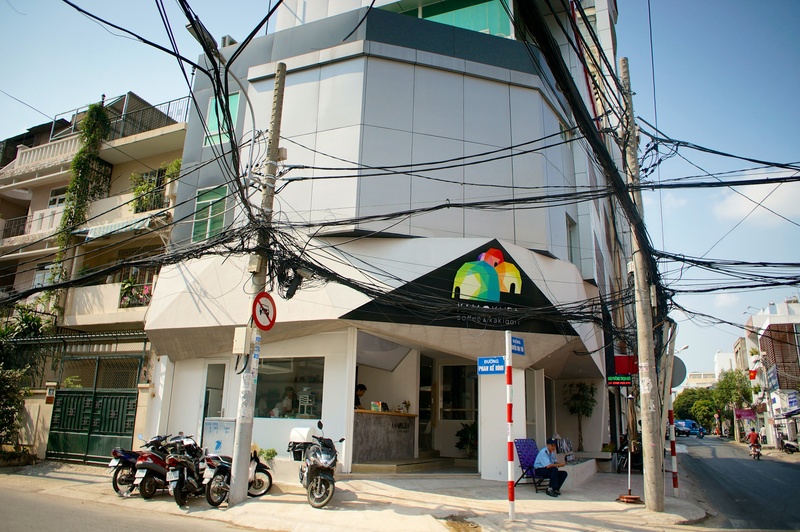 The biggest pity is that their signage is obscured by the typical-for-Saigon array of electrical and telecom wires. It would be nice if they could suspend them a bit higher. What was the inspiration for creating the shop? When I came to Viet Nam, I felt an affinity for the people and lifestyle in Vietnam. 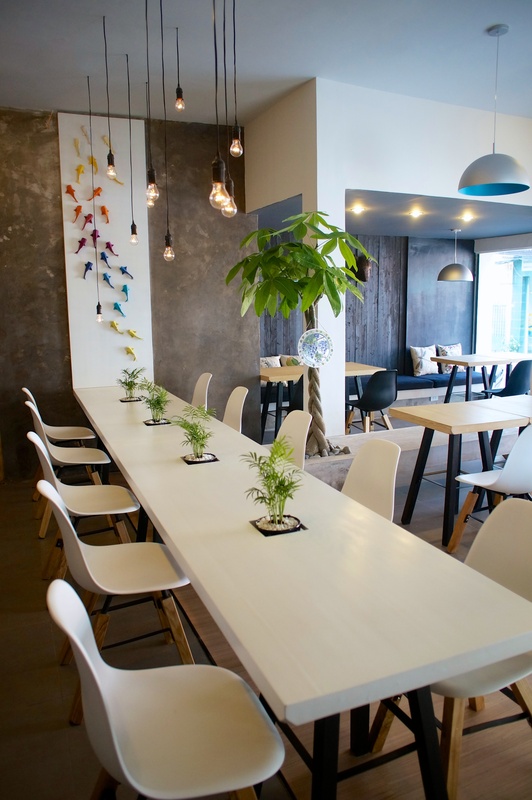 I though I’d like to stay here for a long time, thus I wanted to set up a Japanese food and beverage shop which brings both Japanese and Vietnamese style. I didn’t want to make just a simple Japanese restaurant which opens everywhere. I wanted to make a restaurant with a cool atmosphere. I think kakigori is suitable to my idea: it’s both cool and fresh. The designers created the place where we can see plants from anywhere in the shop and it makes us feel at home. 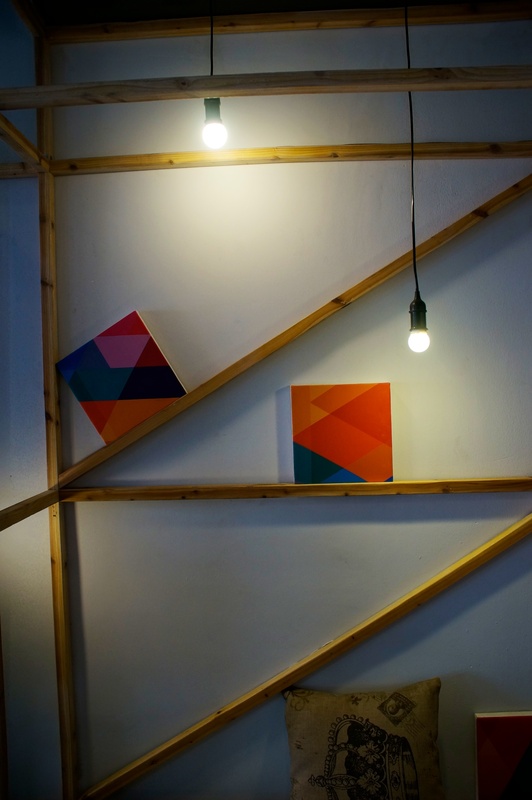 Our shop staff also had ideas for interior decorating. 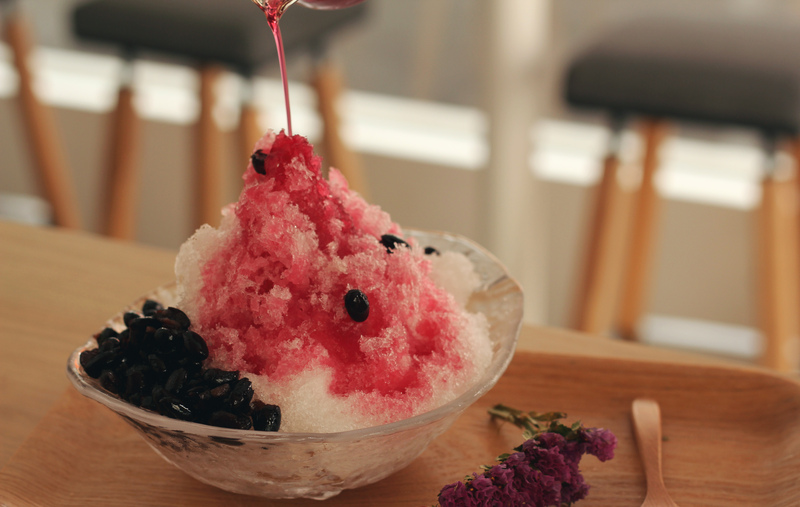 What’s your favorite flavor of kakigori? The ingredients and flavor seem very natural, is this part of the concept? Yes, of couse. 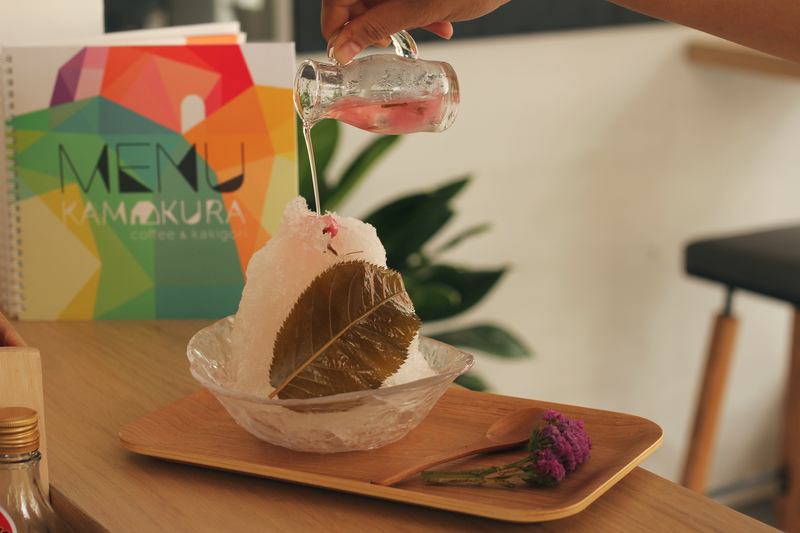 Normaly, syrup of kakigori is made from unatural material. 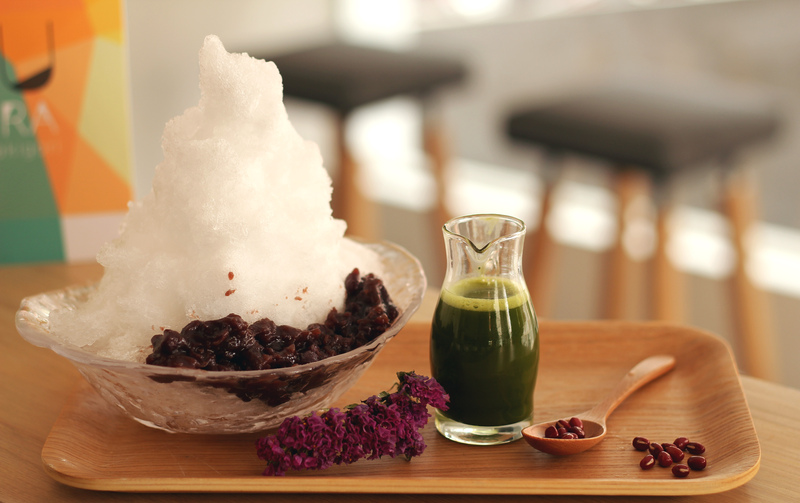 But kakigori of our shop is from natural fruits and pure water. 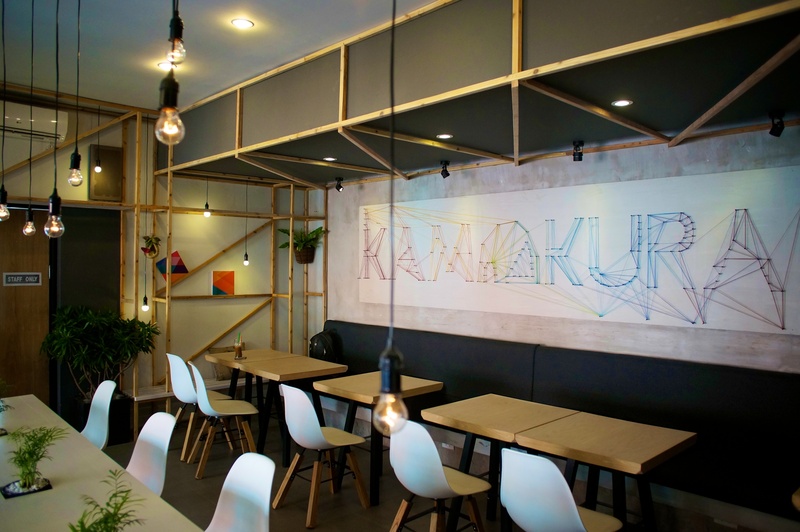 We want to serve good taste, natural and healthy foods to everyone.